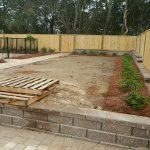 Residential Landscaping Case Study - Executive Landscaping, Inc. 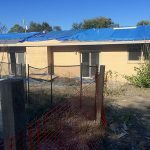 The 1960’s may have been an interesting time in the world, but the residential landscape common to that period is hardly one that would hold any appeal for today’s homeowners. 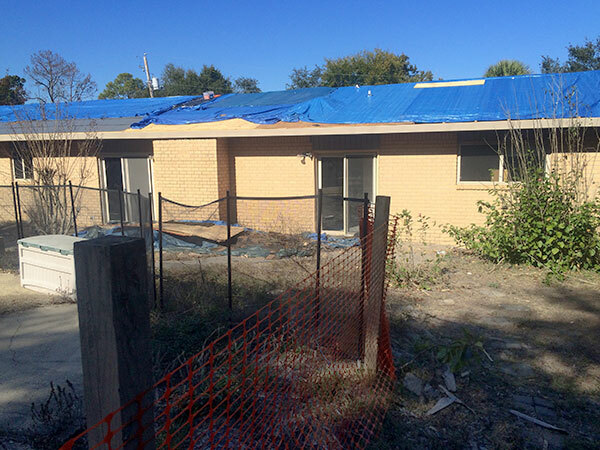 Unfortunately, the ranch-style home purchased by the Flores family in Gulf Breeze was stuck in a time warp and had suffered from decades of use, abuse, and neglect. 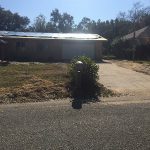 Both inside and out, the house needed to be updated. 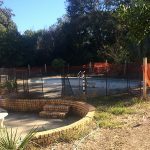 The only silver lining to the landscape was a 50-year-old gunite pool that needed to be re-done to bring it back to life. 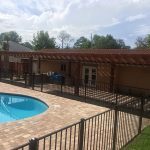 Among our biggest challenges in successfully achieving their vision of bringing the pool up to date and upgrading its equipment was the tight confines of their property line. The proximity of the neighbors presented the issue of potentially disrupting the neighborhood while we worked, so we had to plan accordingly. 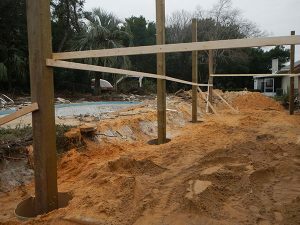 Our task was to renovate the pool and completely rework the residential design to incorporate custom landscaping with a hardscape design that would suit their desire to separate the areas into zones that were serviceable to their large family yet flowed together naturally and provided enough storage to free the garage for the use of their cars. 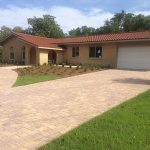 We also needed to provide additional parking in the front yard, solve the issue of water intrusion into the garage, change the elevations of the residential landscape, and keep the street clean during the project. 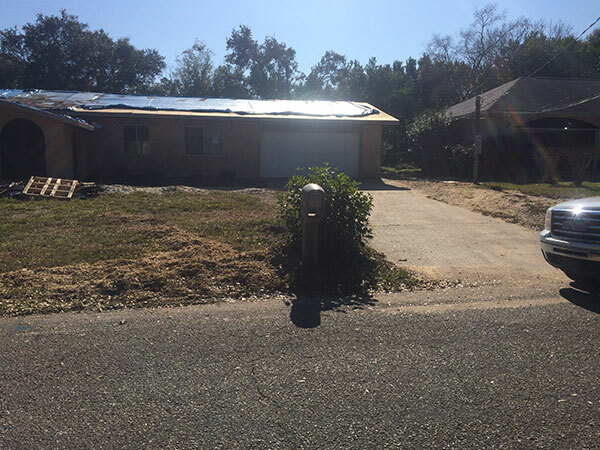 Our first issue was to ensure that rainwater retention was manageable. 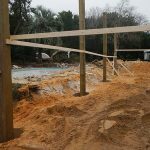 To accomplish that, we changed the elevation of the landscape by leveling out areas with a steeper grade so that they were flat and constructed multiple segmental retainer walls, some of which were created with steps. 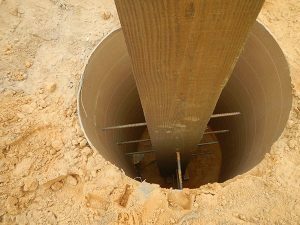 These level areas naturally redirected the flow of rainwater away from the home and into the lawn and garden beds, which had originally been an issue because the natural elevation of the property was higher along the back property line than the street, causing downhill flow that resulted in water intrusion into the garage. Knowing that heavy rains would overwhelm the drainage, we installed gutters on the home. 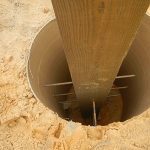 We then connected the downspouts with strategically placed surface catch basins that drained into an oversized pipe and transported the water to discharge basins at the street. 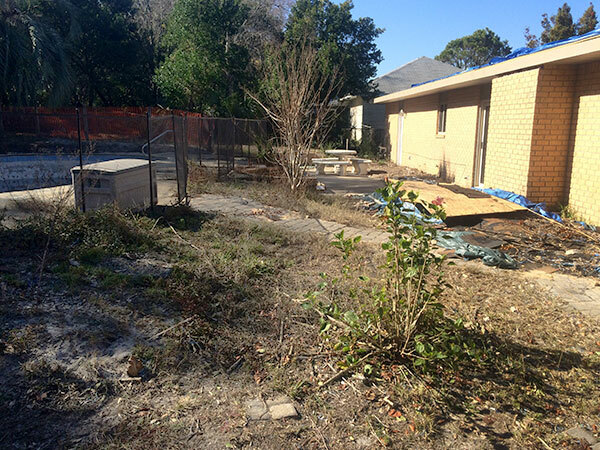 In the backyard, we created four distinct areas of use. 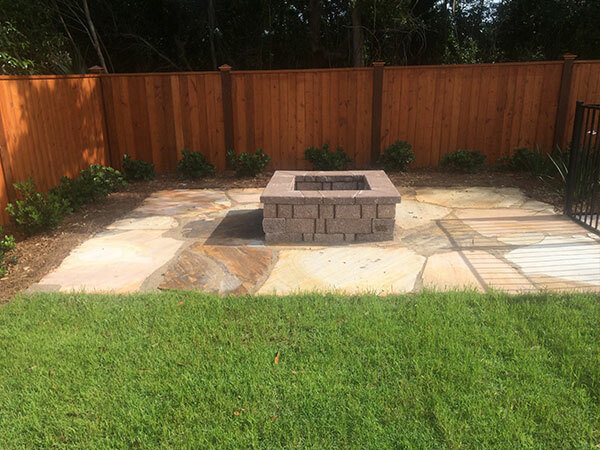 We first created an open area for gathering with new turf and installed a flagstone patio with a fire pit. 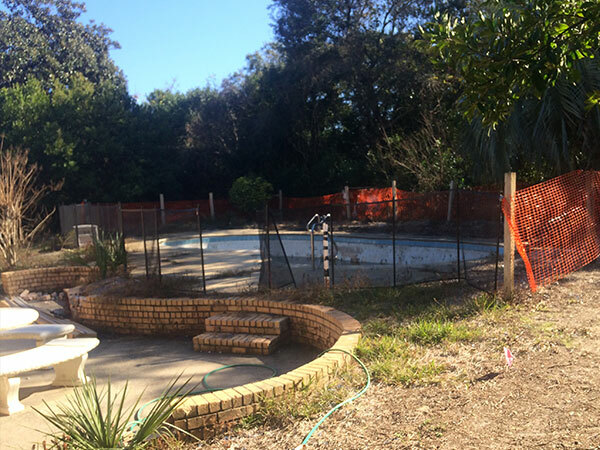 To add safety to the pool area, we installed fencing that would be removed when the children were older, encircling the area with enough space for the children to play and adults to relax near the pool. 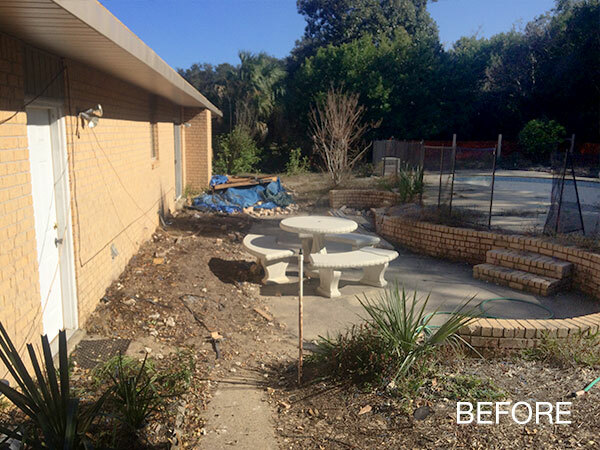 We also created a designated children’s lawn area that was located far enough from the entertaining areas to allow adults to have them within eye site and quick access without interruption of their own time together. 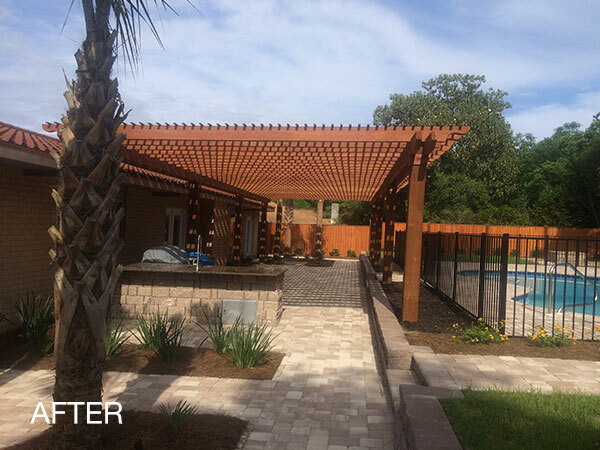 The clients also wished to integrate an entertaining area with dining, seating space, and an outdoor kitchen design. 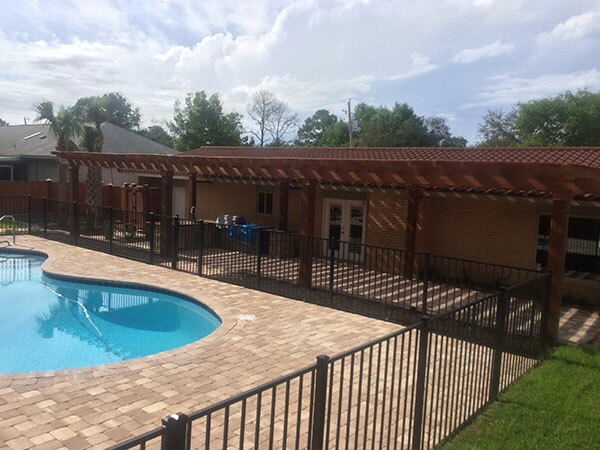 We installed a pergola to provide shade and added concealed lighting, ceiling fans, an outdoor TV, stainless steel appliances, storage areas, and granite countertops that would provide everything needed for complete outdoor living. 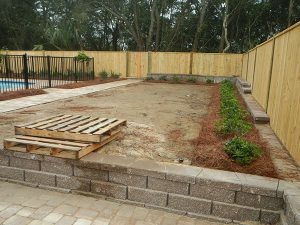 The clients also requested that an organic garden be created near the kitchen to allow the children to watch and learn the process of planting a seed and seeing it grow, then gathering and eating fresh herbs and vegetables. 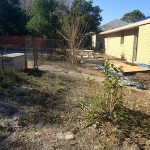 In the front yard, the Flores family wanted the landscaping to be kept simple and clean. 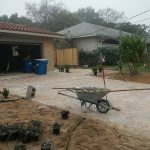 Hoping to avoid the inevitable cracks that naturally occur with poured concrete, the client instead chose to have pavers, which we installed over an eight-inch compacted aggregate base to provide oversized parking areas with natural drainage. Just off the front porch, we added a simple paver courtyard where they could sit for coffee each morning. 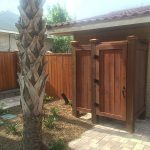 A new storage and utility area was created outside the garage by installing a six-foot decorative wood fence across the front corner of the home that matched the fence at the back corner and perimeter of the backyard. 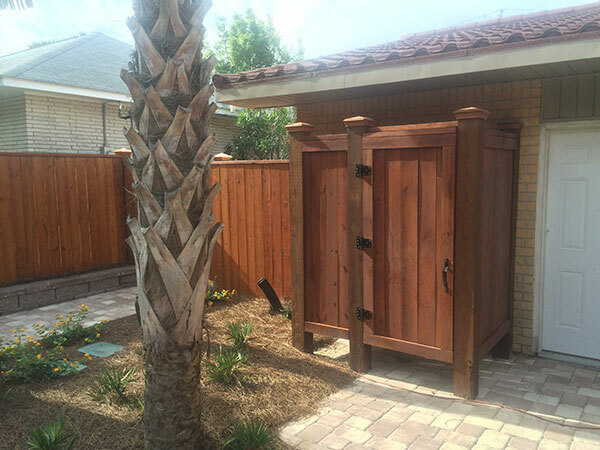 This also provided a hidden area that was far more visually appealing than typical privacy fencing. Within the fenced storage area, we planned space to accommodate a whole house generator, pool equipment, air conditioner units, an aboveground gas meter, an aboveground irrigation water pump, and garbage and recycling containers. 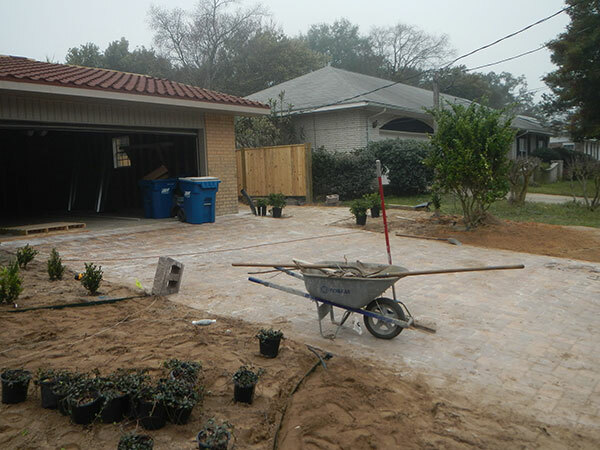 Lastly, we left an open walkway for direct access between the driveway and the backyard so that guests could easily avoid having to navigate through storage and utility areas. 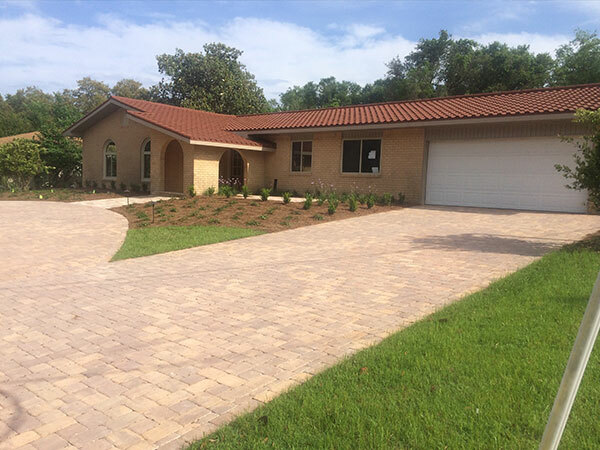 Residential landscape should give your home a beautiful look you love! 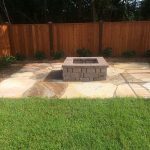 Call the experts at Executive Landscaping, Inc., for an estimate today!